Under the thick canopy of a peepal tree, beside the road that winds to Pallur Ooru in Attapady in the Western Ghats, is a small tribal burial ground. There are no tombstones to mark the graves and on closer look one sees tiny mounds where the mud has been disturbed. In a quiet corner, a man digs a grave with a pickaxe. It seems the tribal funeral ceremony has been given a miss. The silence that hovers over the ground is rhythmically broken by the harsh crunch of steel on the crusty earth. A small group of men wait patiently around the grave-digger, one of them cradles a bundle in his arms—a month-old dead infant. In a matter of minutes, the body is buried and the men leave in single file to go down to the river to cleanse themselves. Murugan, the baby’s father, trails behind. The infant had died of malnutrition leading to pneumonia. Thirty-five children have died in the last six months in Attapady, a hilly tribal settlement in Kerala’s Palakkad dist­rict. This in a state which prides itself for having the lowest infant mortality rate (IMR) in the country—only 16 per 1,000, almost comparable to advanced countries, while the national average is more than double that (on average 44 babies in 1,000 born die in India). Kerala has the highest literacy rate too, it is also one of the most prosperous states, but nobody seems to care about the 30,000 tribals of Attapady. Four infants have died in Pallur Ooru itself this year, two more are battling for life. The hamlet is just a crooked row of houses that straggles at the base of the Chendamala hill. The Chendamala hills fold thrice into what looks like a massive stone stove. Legend has it that in times of plenty the ancestors of the Irula tribe placed a huge vessel atop the stones on the hilltop, and taking water from the Sir­uvani river cooked their food. Those massive stones that bear the legend are but a sad reminder of a different way of life. The state’s special Attapady scheme came in May; in June came a Rs 125 cr central relief package. Still the babies die. Down below, at the base of the Chendamala, nutritious food is hard to come by. Malnutrition is high among the children and mothers of the Irula tribal families that live here. 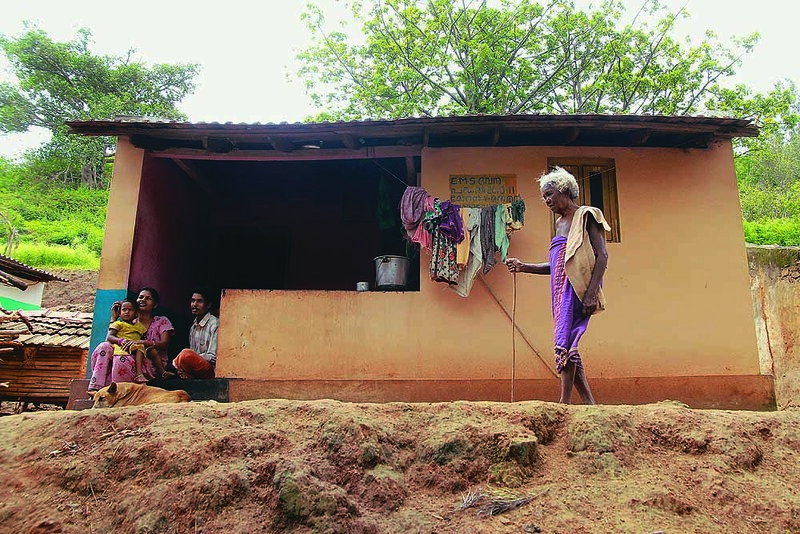 Their houses, built over 30 years ago by the integrated tribal development programme (ITDP), are now decrepit and unlivable. None of the houses have toilets—as per the government design—and open defecation is still the norm. The cattle and the Irulas live in close proximity. There is no safe drinking water or a drainage system. As the rain comes down in sheets of water, the houses get flooded, insects breed and the little foodgrain that is stored starts to rot. The despair in young Murugan’s face who has just buried his child is heartbreaking. His wife Girija had high blood pressure and her hands and feet were shaking so she was shifted to the Thrissur Medical College. She gave birth when she was seven months pregnant. The baby girl weighed only 1.016 kg. “The child could not breathe and the doctors said she developed pneumonia. She struggled to live for nearly a month and died last night,” he says. Plamarachodu Ooru In January, Vasanta, 25, gave birth to a still-born at home. Husband Murugan has been unwell and jobless for months. And Murugan’s blind grandma, Marathi, hasn’t got her old-age pension for awhile now. What’s shocking is even after the state government announced a special Attapady scheme in May and the Centre announced a Rs 125 crore relief package in the first week of June, infants are still dying in Attapady. In the last three months, 15 malnutrition-related infant deaths have occurred. As per government records, at present 261 children in the area have severe malnutrition, 536 pregnant tribal women are anaemic of which 241 cases are in an advanced state (6-8 months). It’s these future mothers who need immediate medical attention (incidents of tribal women going into pre-term labour are very high). Most infant deaths also occur when the baby is premature. Human rights group RIGHTS, which went to the area on an independent fact-finding mission, says none of the government schemes are working on the ground. One of its members, Ajay Kumar, says, “The administrative system and healthcare have completely collapsed for a long time now in Attapady. 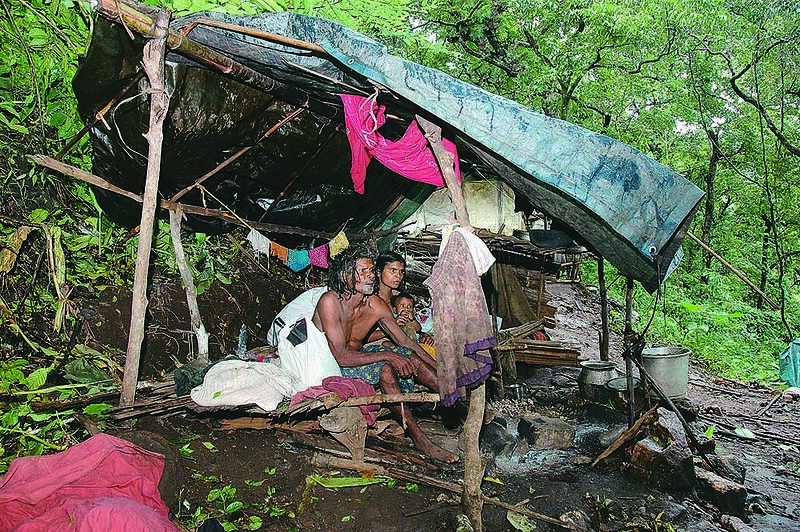 But the state continues to use the same system to reach these new packages to the tribals. It is crucial that the government intervenes...otherwise we are going to see more deaths.” Outlook found that none of the pregnant women had got the money intended for them, the trickle from the Rs 125 crore relief package is yet to reach them. But why is there malnourishment in a part of Palakkad, often referred to as the rice bowl of Kerala? Why are tribal babies dying when down the ages they have survived in extreme conditions? 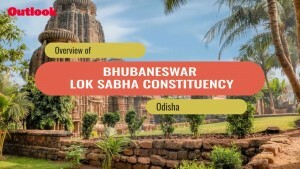 Well, it’s a mix of skewed government schemes that has altered the tribals’ traditional modes of living and sheer state apathy—even though Attapady is a geographically large area, its votes don’t really count as it sends only one MLA to the assembly. Half the anganwadis allocated to the area are still not functional. In one of the few working anganwadis in Pallur Ooru, the helper, Maruthi, says four of the 10 children there are malnourished. “They get fever and their weight comes down further,” he says. Apart from the midday gruel of rice and green gram, the government prescription for malnutrition is a glass of milk and an egg everyday for each child. For the past two years, the anganwadis in Attapady have not seen eggs or milk. “Now, after some media reports on the area, we have started getting supplies,” she says. The Irula, Kurumba and the Muduga tribespeople here have always celebrated death to make the souls of the departed happy. But the frequent baby deaths have changed all that. They have never witnessed anything of this magnitude, indeed are now worried that their tribes may be wiped out if the deaths continue. It’s all a natural corollary of their alienation from the land, the death of their beliefs, customs, languages, traditional food and now their babies. It all stems from the loss of their land, they say. Rangan, 55, of the Cheerakadavu Ooru, still remembers a time when they ate more than 150 different varieties of leaves rich in iron and minerals, as many tribal songs pay an ode to. Their diet was rich with different kinds of roots, nuts, fruits and wild honey. Moreover, there was the wild meat and fish. “Everyone was healthy. We practised shifting agriculture. We would cultivate in one place and when it became fallow we would move to another site and come back later. We lived as a community. Each ooru once had an ooru panch­ayat with a headman or Moopan and we had a Mannukaran who looked after the farming activities,” remembers Rangan. Slowly most of them lost their land to the new settlers as the government opened up the area to outsiders. Many of the tribals became indebted to the shopkeepers or lost their land to the betel nut and betel leaf growers, a big business in the area. Many of their old ways and cultural habits were gone, their language threatened as their association with the settlers grew. Nowadays, he says, with the loss of land many of them do not get to eat even one of the leafy vegetables that they sing about. In 1931, Attapady was a 100 per cent tribal area, today they make up less than 40 per cent of the population. The Tamil and Malayali settlers have encroached on tribal land. The Kerala Scheduled Tribes (Restriction on Transfer of Lands and Restoration of Alienated Lands) Amendment Act prohibits sale to non-tribals but over 10,000 acres land is now with outsiders. A windmill project about five years ago is said to have grabbed more tribal land. Activists allege windmill firm Suzlon Energy deceived the tribals into thinking they would get a monthly rental income if they sold it to windmill farms but it resulted in a land grab of 400-600 acres in Attapady. M. Suku­maran, convenor of the Attapady Sam­­rakshana Samithi, blames both the Left Front and Congress-led governments for the current mess. “The setting up of windmill farms was just a mask for the land mafia to grab property. Today, over 2,000 acres of tribal land is in the names of benami holders acquired through forged documents which can be transferred to Suzlon Energy at a moment’s notice. The private windmill farms are selling electricity to the government but nothing has come to the poor tribals,” he alleges. Chief minister Oommen Chandy had led marches to the state assembly on the issue when he was in the opposition. “He’s in power now but he’s failed to do anything to return the land to the tribals,” says Rajendra Prasad, president of Thampu, an NGO that deals with tribal rights, education and research. The Irulas, whose settlements are closest to the townships and who mixed more with the migrant settlers, have suffered the most. They have lost nearly 9,000 acres of land, the Mudugas come next having lost about 1,000 acres. Pallur Ooru Mallika, 29, had four abortions before Bhavani was born. She was eight when she died of internal infections. “I can’t bear to sit in my house. I keep hearing her voice, I don’t want to live,” says Mallika. Now what brought Attapady into sharp media focus was a shocking case from Kalpetti Ooru last year. 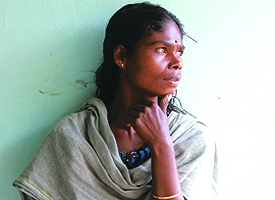 A tribal, Ayappan’s wife Valli, near term pregn­ant with child, had hypertension and anaemia. The nearby tribal mission hospital ref­e­rred her to the tribal speciality hospital at Kottathara 43 km away. But this hospital was crumbling and many of its facilities, like the ope­ration theatre, were closed down. So Valli was referred to the Palakkad Medical College, over three hours away by jeep. By the time they reached there, it was too late—she gave birth to a still-born male child. The hospital denied the couple an ambulance to take home their dead child. Ayappan and Valli carried their dead child in a plastic bag and took the state transport bus. They had to change four buses bef­ore they reached Kalpetti where they buried their first-born in the corner of their field. “It was cruel of the hospital and we protested to the CM and alerted the media. It was this case that brought the infant deaths here to public notice,” says K.A. Ramu, a Muduga and activist. He says infant dea­ths have doubled in the last six months in the Attapady area. But the devil really is in the details. 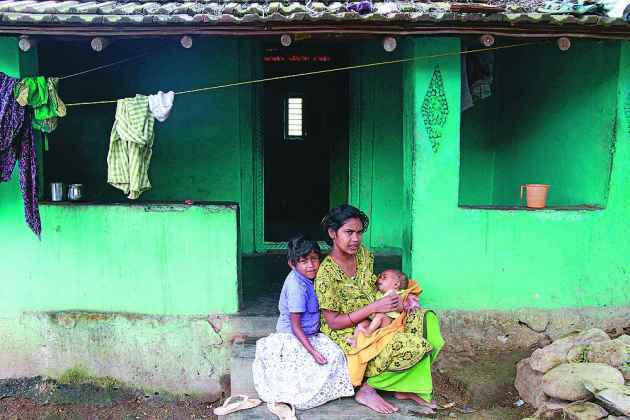 Why couldn’t the hos­pital in Kottathara treat Valli for an ailment that’s so widespread in the area—complications at childbirth? This tribal speciality hospital was fully functional three years ago. But official apathy and disgruntled staff has led to its closure. Dr Prabhudas, one of the few dedicated doctors there, was transferred out of Attapady in 2010 and doctors appointed by the state public health service were brou­ght in. “Most of them came here on punishment transfers and were disinterested in the work. One by one, the departments closed down, including the OT. There is also no scanning facilities or lab. Eve­rything was closed down systemically,” says one of the few remaining hospital staff. The ambulances and jeeps att­ached to the hospital, so crucial in ferrying patients from remote areas, were sent to other regions. There was no pro­per monitoring of the primary health centres and sub-centres attached to the settlements. As all systems shut down, the deaths began to happen rapidly. Now, as a knee-jerk reaction, Dr Prabhudas has been brought back along with 19 other doctors and 40 nursing staff and the various departments are opening up slowly. The OT is scheduled to reopen next month. After 25 years, two gynaecologists have been app­ointed in the hospital. Many of the doctors however complain that their contract is for just three mon­ths, indicating that the government has no long-term plan for the hospital. Indeed, the whole exercise even now seems like a damage control measure to keep the baying media at bay. 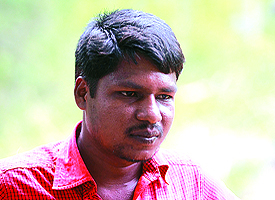 Ayappan, 27, lost his first-born in Jan 2012. Wife Valli gave birth to a still-born child in Palakkad Medical College. Had to take their dead child back in a plastic bag after hospital denied them an ambulance. Which is at the heart of the problem in Attapady. Dr E.K. Sathyan, a paedia­t­rician at the Indira Gandhi Coop­er­a­tive Medical College, Kochi, elaborates. In May this year, a team of doctors conducted a random study on 132 tribal children below the age of six years and their mothers from 41 settlements. Dr Sathyan, who was on the team, says, “We found that all the children we examined had malnutrition, and 90 per cent of the mothers were anaemic. Pre-term labour was prevalent, babies were underweight and in some cases babies were still-born. It is imperative that pregnant and lactating mothers be given nutritious food like what other women in Kerala naturally get.” The NGO Thampu immediately reported these findings to both the government and the media but nobody moved. Nellipatty Ooru is a model settlement, and popular with visiting netas. But five kids have died here too this year. Dr Sharada Devi, a gynaecologist who came to work among the tribals two months ago, says sickle cell anaemia is pre­v­a­lent among the women here. Their constitution is also diff­e­rent so they can still function well with a very low hae­­moglobin count. But because of this, the foetus too is anaemic, she says. “What I also found among pregnant mothers is that they tend to chew betelnut a lot. It has a feel-good factor, so they don’t feel hungry.” Thus there is less blood flowing to the foetus which also contributes to making the baby malnourished. The tribal tradition also makes them hesitant about revealing their pregnancies till it is quite advanced. By Minu Ittyipe in Attapady, Kerala; Photographs by Sivaram V.
There are 19 Kurumba hamlets in the depths of the Silent Valley, they too have seen infant deaths. 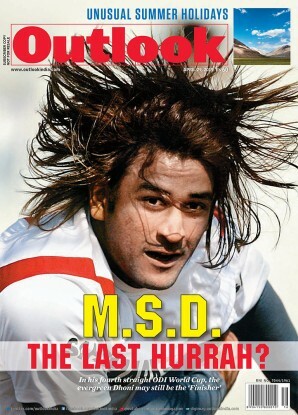 Our correspondent braved the incessant rains to find out more. Who Cares A Damn About Childcare!